One of Asia’s biggest agribusiness companies, owner of leading sugar brands in Australia and New Zealand, has made plans for up to 160,000 hectares of sugar-cane plantation in Merauke and Mappi Regencies. Company Description: Wilmar International, first established in 1991 with an oil palm plantation in Sumatra, is one of the largest agribusiness companies in Asia, as well as the world’s largest processor of palm oil and largest producer of palm biodiesel. Wilmar is also a big sugar grower and has oilseed processing facilities around the world. Plans in Merauke: Wilmar announced in September 2010 that it had acquired a vast concession of 200,000 hectares to grow sugar cane in the Taboniji district of Merauke, and would proceed with a feasibility study that could take up to two years.2 In May 2011 Wilmar formally bought PT Anugrah Rejeki Nusantara.3 However, it was later decided to move Wilmar’s permit to Animha district, and it was also reduced in size to a maximum of 80,000 hectares. Another two subsidiaries PT Surya Lestari Nusantara and PT Royal Agro Sejahtera are also aiming to start plantations in nearby Mappi Regency. Previously it was thought that Wilmar was also developing oil palm plantations in Merauke. However it now appears PT Agriprima Cipta Persada, which had plantations in the Sumatran province of Jambi,4 is now controlled by AMS Plantations, owned by Ganda Sitorus, the younger brother of Wilmar’s co-founder. This company is still closely linked to Wilmar, but is less restricted than the bigger company.5 For example, Wilmar is aiming to have all its palm oil certified by the Round Table on Sustainable Palm Oil but AMS Plantations is free of that restraint. AMS Plantations is known to sell its palm oil to Wilmar. Reportedly, the only village that has sold land to Wilmar is Kampung Zanegi, selling the right to use 1000 hectares of land for around 300,000 Rupiah ($30) per hectare. Other Conflicts around West Papua and Indonesia: Research in 2007 by Friends of the Earth Netherlands into Wilmar’s oil palm plantations in Kalimantan found that the company was burning forest illegally to clear it, clearing land without the right permits and not consulting local communities that have customary rights over the land that Wilmar uses.8 In 2011 PT Asiatic Persada, a company owned by Wilmar, bulldozed 83 houses of villagers who disputed the company’s right to the land in Jambi province in Sumatra, after a confrontation in which one resident was shot and wounded and twelve people were arrested.9Before the conflict was resolved, the company was sold to AMS Plantations. 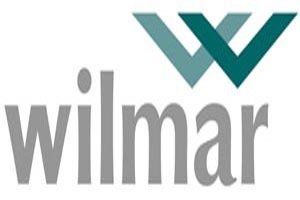 International links: Wilmar is now a global company, for example in Europe they have refineries in the Netherlands, Germany, Spain and Ukraine, as well as trading subsidiaries in many other countries. Additionally Wilmar bought Australia’s Sucrogen brand from CSR in July 2010 for 1.6 billion Australian dollars. One of the benefits of this deal to Wilmar is that it will bring them the expertise to develop a large industrial sugar plantation in Merauke. It also gives the company access to the Indonesian market to import Australian sugar in the meantime, as under Indonesian rules, only domestic growers can import sugar.11 Sucrogen is Australia’s top-selling sugar, which is marketed under the “CSR Sugar” brand, and as “Chelsea” in New Zealand. Sucrogen also produces agro-fuels from sugar-cane.